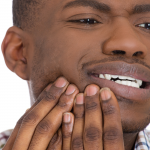 Do you know how a prosthodontist can reshape and restore your smile? In addition to completing dental school, a prosthodontist trains for an additional three years in an American Dental Association accredited prosthodontic graduate program, giving them the advanced training and education they need to provide specialized care and restore smiles. Now that you know how to officially define prosthodontist, it’s time to learn the symptoms and conditions they treat. 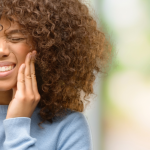 If you’re experiencing any of these symptoms and conditions, it’s important to see your dentist and ask them to refer you to a prosthodontist to treat these issues. 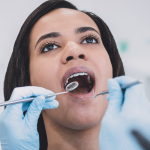 While there is a wide range of dental issues listed above, along with other dental conditions not listed, prosthodontists are highly skilled to address each unique condition they come across. 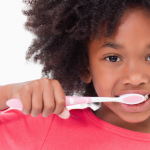 If need be, they will bring other dental specialists in on the treatment plan in order to provide each patient with the specific care they need for a reshaped, restored, and redefined smile. Caps and Crowns. Teeth that are misshapen, decayed, or cracked can be restored to their normal function with the use of “caps” or crowns. Crowns are also used in cases of root canals and to cover dental implants. 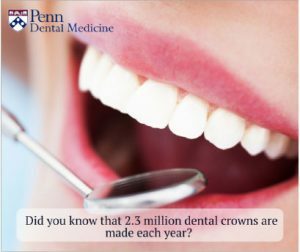 Approximately 2.3 million dental crowns are made each year in the United States. Dental Implants. For patients that are missing teeth, dental implants can be used to restore your smile to a more natural-looking, longer-lasting smile. Dental Implants are titanium cylinders surgically implanted in the jawbone where a tooth is missing. Implants are the replacement root that supports a crown, dental bridge, and full implant dentures. Occlusal Splints. Occlusal splints or orthotic splints are used for those who grind their teeth (Bruxism), those who suffer from pain in the temporomandibular joints (TMJ), or those who’ve had mouth reconstruction. These splints help correct or guide the jaw from harmful habits. These splints also position the lower jaw to improve airflow to patients who have sleep apnea. If you’d like to see how a prosthodontist can help define the future of your oral health, please contact us at Penn Dental Medicine. Call 215-898-8965 to find out how you can become our next patient.